Great news to everyone that’s been waiting for the Realme 2 Pro. This time around, a video featuring an unknown Realme smartphone has been spotted. Realme has just released video titled “Realme | Proud to be Young” on its YouTube channel. 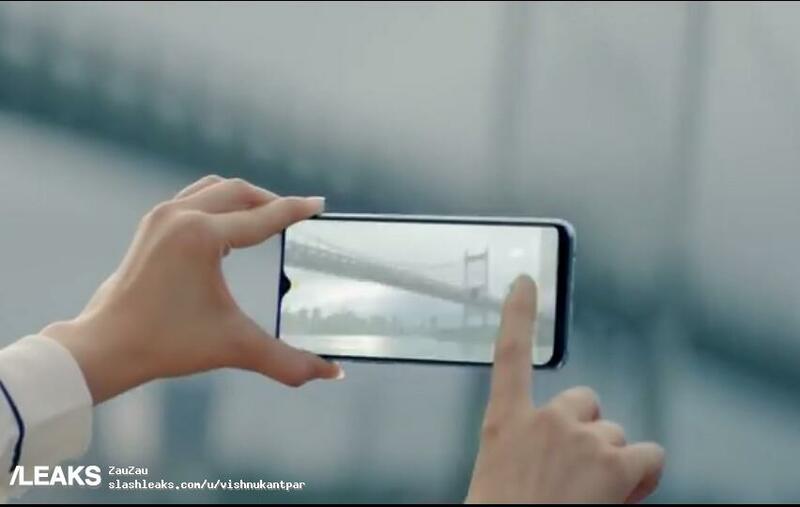 The video features a smartphone to which many believe could be the Realme 2 Pro. Take a look at this picture taken from the video featuring its back design. As you can see, it features a horizontal dual camera design (with a camera bump) and a LED flash on its right side. Aside from that, we can also see a fingerprint scanner. At the bottom, we can see two ports. On top is most likely a 3.5mm headphone jack, while at the middle is a USB port. Now here’s a picture for its front design. It features an almost all-screen design except for the thick bezels below. We also see a waterdrop notch which looks like houses its front camera. According to reports, the Realme 2 Pro is expected to be released on September 27, 2018. In fact, the company has made an official announcement a few days ago, sending out invites for the 26th and 27th of September. For its price tag, one report suggests that it could cost around Rs. 14,990 which translates to around $207. However, the device featured on the site doesn’t have the same design (specifically its notch design) that was featured on the video. There was also another site suggesting that it could be Rs. 12,990 ($179). However, just like the previous site, the design also differs. Could it be that the smartphone that was featured on the video isn’t the Realme 2 Pro? It’s hard to say. What do you think? Is it really the Realme 2 Pro on the video? Share us your thoughts and opinions in the comment section below.